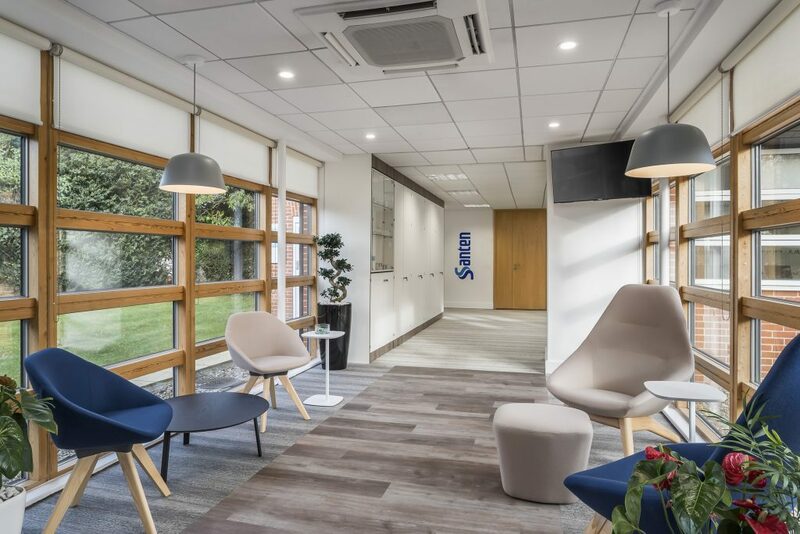 We worked with leading Japanese pharmaceutical company Santen to design and build their new UK headquarters in a unique rural setting, located close to the picturesque St. Albans. 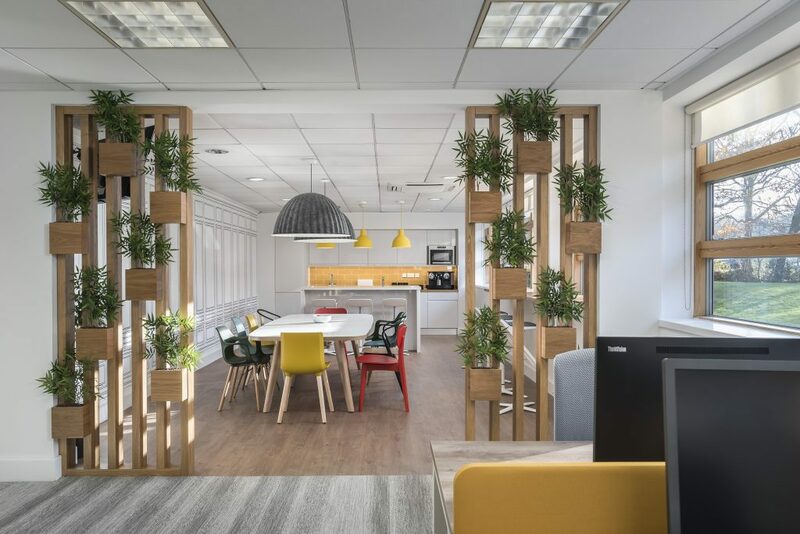 The Santen team were keen to create a fresh and vibrant people-centric space that embodied their brand and products and that also included a range of different work settings for staff. 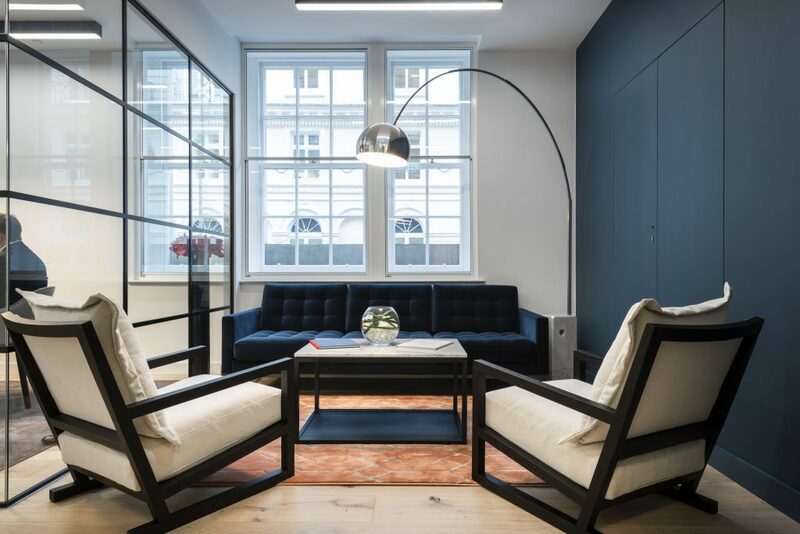 The 2,500 Sq. 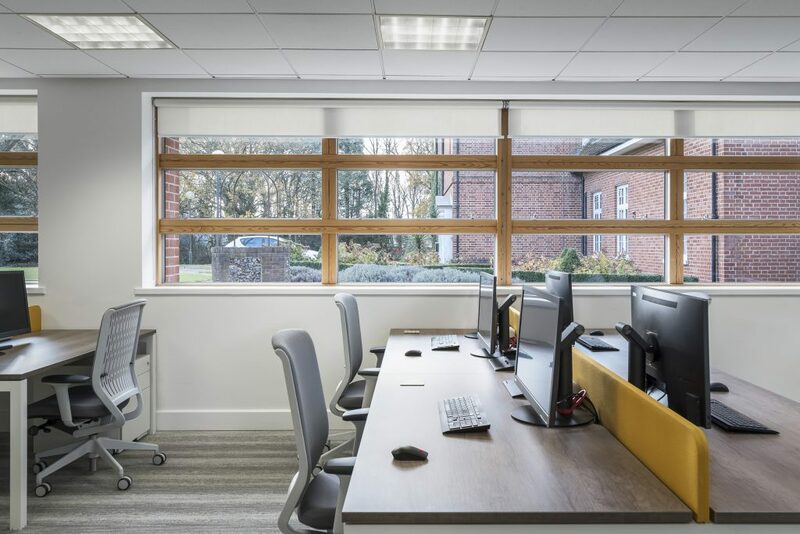 Ft space is situated in the beautiful Salisbury Hall building, home to several other companies and offers amazing views over the countryside. 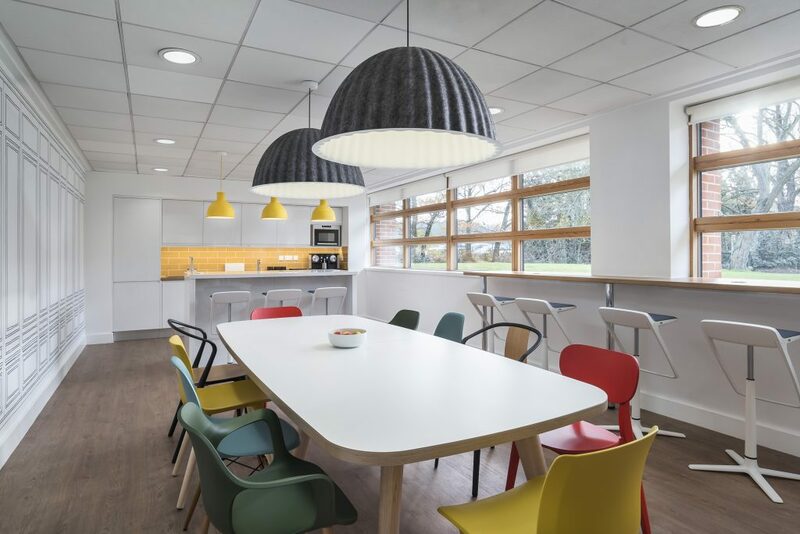 It is also close to the M25 motorway with easy access to both St. Albans and London. 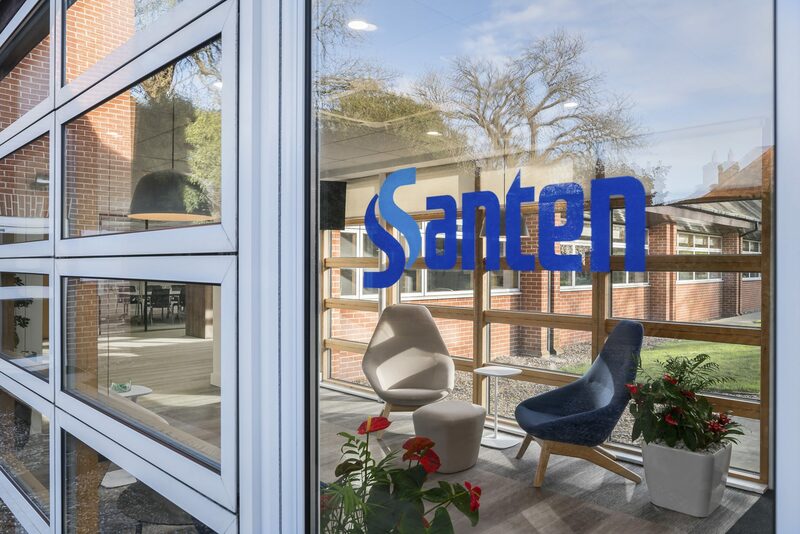 Santen were moving from serviced offices in St. Albans where they had worked since setting up their UK operations but as they grew in numbers, a new space that matched their needs became a necessity. 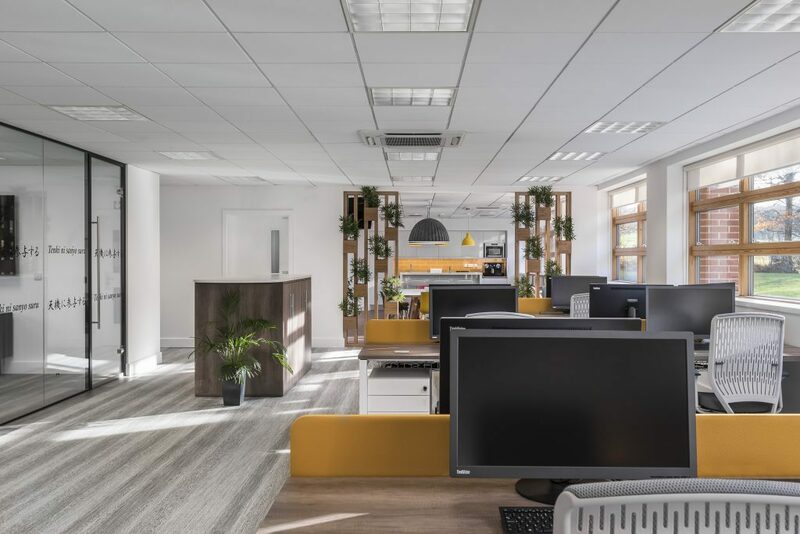 The new space needed to reflect Santen’s unique culture and to provide staff with a fresh, modern work environment where they enjoyed working from. 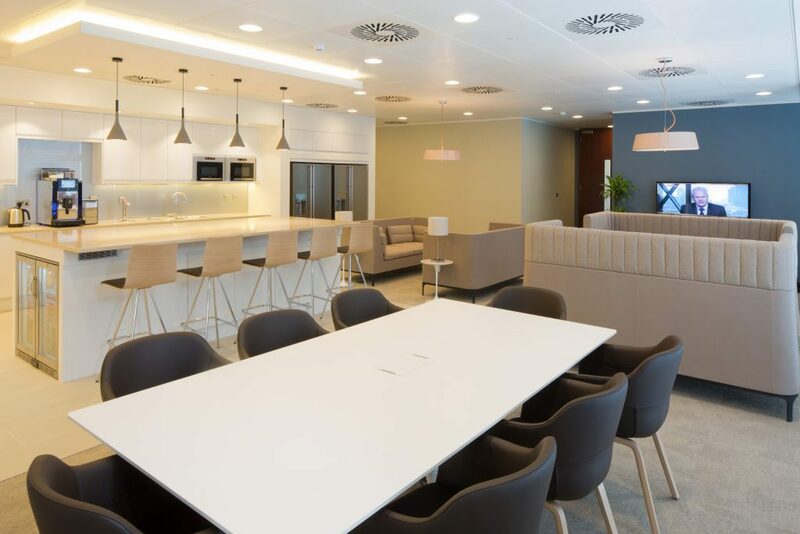 The new workplace was designed to include open plan working for all staff, including a number of hot desk positions and also two large meeting rooms, a colourful breakout space, private work areas and a warm, welcoming entrance. 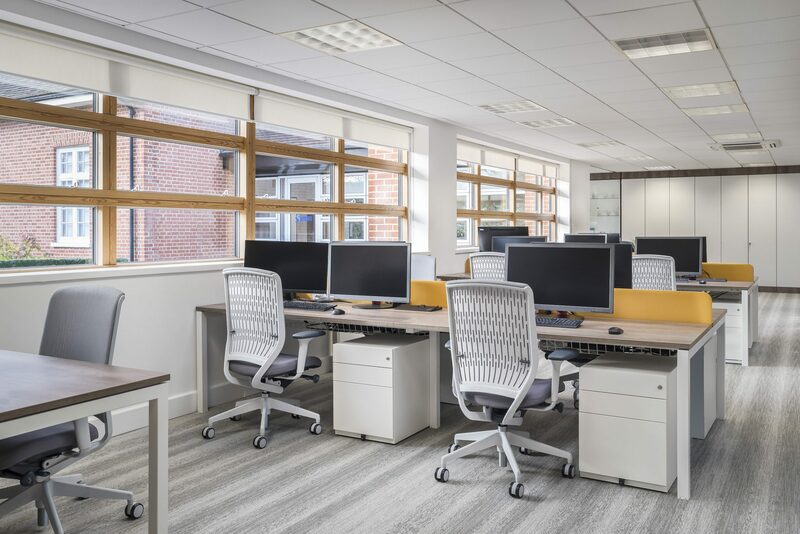 Our team worked closely with Santen to create an office design and layout that made optimum use of the space and that was flexible enough to facilitate future anticipated growth. 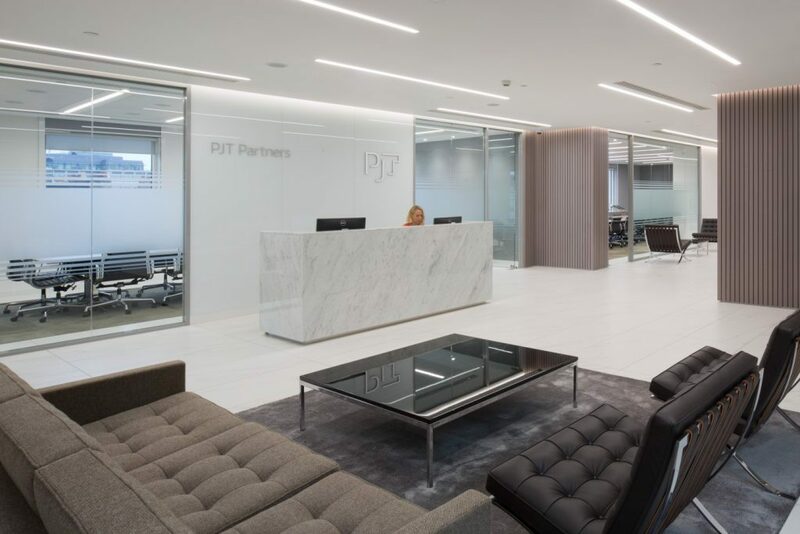 Once the design process was finalised, the entire office fit out project took 6 weeks from commencing onsite work to completion.